communications at such organizations as the Communication Division of the Institute for Defense Analyses, at Army Research Laboratories, and at Texas Instruments. Lomonaco is actively involved in his research. His research interests and research contributions span a wide range of subjects including quantum algorithms, quantum cryptography, algebraic coding theory, cryptography, algorithms, knot theory, algebraic and differential topology, and symbolic computation. 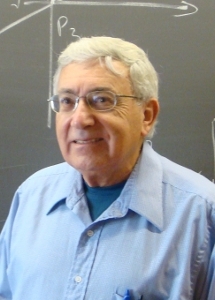 He has published many research papers in refereed journals, and also has published five books, four on Quantum Computation and Quantum Information Science, and one on low dimensional topology. He is a frequent invited speaker at research conferences. More detailed information can be found on his website. He holds a Ph.D. in Mathematics from Princeton University.